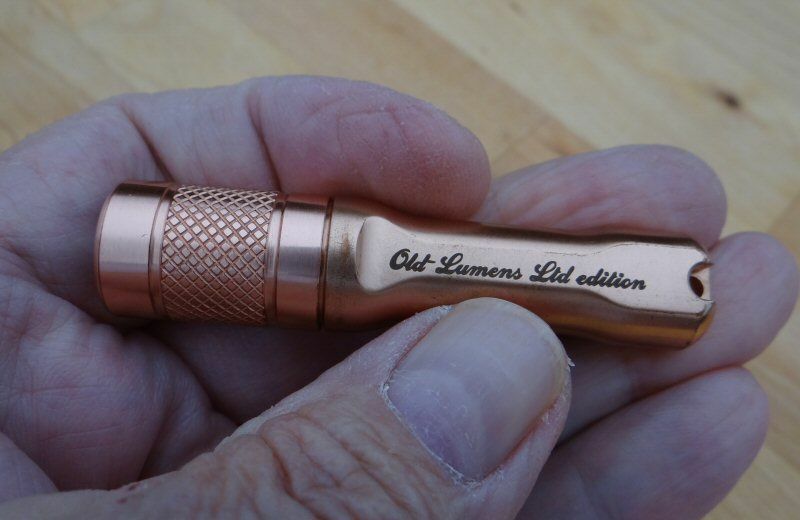 Closed: The 4th Annual BLF / Old Lumens Scratch Made Light Contest - Winners announced! The contest officially starts as of this posting and it runs (even longer than last year! ): until October 31th at Midnight (UTC). This post has links to all build threads. PM me right after you have created your thread. Thanks! You have certainly been busy behind the scenes the. Its good to see the diverse range of shops getting behind the comp with their rewards to the entrants. All the best to all the combatants, I’d hate to be a judge going on past years. Looking forward to seeing what everyone builds this year! The Orca Torch brand would look great in the OP hint hint. Tentatively in, machine category. Been thinking about something and might as well do it here, right? I’m leaning towards a hand made something the other. Missed out on last years, don’t plan on missing out this year! Oxygen tank, 10000 lumens on low, 15xLED, just a few highly interesting things that now have been shown. Oh boy! Here’s the link to my contest build thread. My build thread is (will be) here. I’m entering for the HandMade category. I am so glad to see the contest take shape and I hope there will be many more members that try to make something this year. There is no pass or fail here. Each idea is unique and each person has different methods of working with the materials they have on hand. I cannot tell you how many times I learn new ideas here and this is what it's all about. It's not the competition. It's not the prizes. It's all about the individual's learning curve and the development and thought processes that go into making something from scratch. It's about the path you take and what you learn and share, not the prize at the end. The prize should be the fulfillment of making something by hand that you thought you might not really be able to do and proving it to yourself that you can, or learning your missed steps even f you can't. I wish all of you good luck and good fortune with your builds and I will be watching here, in spirit, as you make them the one of a kind masterpieces that you will create. The only way to fail is to not enter this challenge. Yes I have failed before but no longer! I AM A WINNER!! Hi folks, I would like to join the contest, but it will be a month or more before I can devote any time to the project (which may take many months to complete!) Should I start a thread now, or wait until I can actually start the project? Just start a thread now and add to it when you can. Thread for unknown project will be created shortly! Pages can get real slow to load when they get pic heavy. It might be a good idea to spread sections of the build thread to posts on later pages and just link them in the op to relieve this. I resize all my pictures before uploading to PhotoBucket to stop the slow page opening happening. I cannot tell you how many times I learn new ideas here and this is what it’s all about. It’s not the competition. It’s not the prizes. It’s all about the individual’s learning curve and the development and thought processes that go into making something from scratch. It’s about the path you take and what you learn and share, not the prize at the end. The prize should be the fulfillment of making something by hand that you thought you might not really be able to do and proving it to yourself that you can, or learning your missed steps even f you can’t. Well said! Though the idea of a prize is nice, more significant to me is pushing past perceived limitations to achieve something no one thought of or thought possible. ok I will give it a try in the machine, made category. Your build last year was amazing, so I am looking forwards to you joining in. Another question regarding the contest. Somehow always the same people reply to the build threads. Those people also happen to be the contestants Does the rest of the forum actually know that there is a contest? Maybe if there’d be another sticky in the modding area that would motivate some more people to join in. And the more people there are making lights the more fun it is, isn’t it?